Looking for a marketing job? 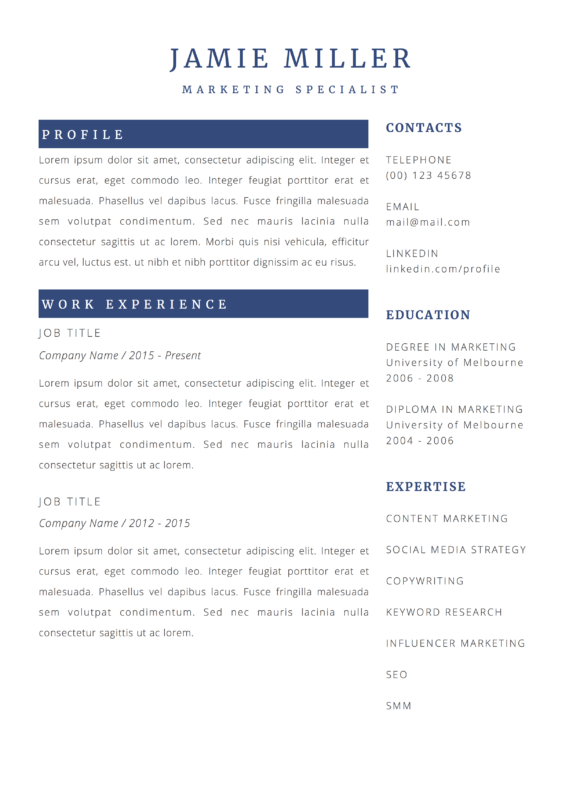 Increase your chances with this modern resume template designed for marketing professionals, just like you. 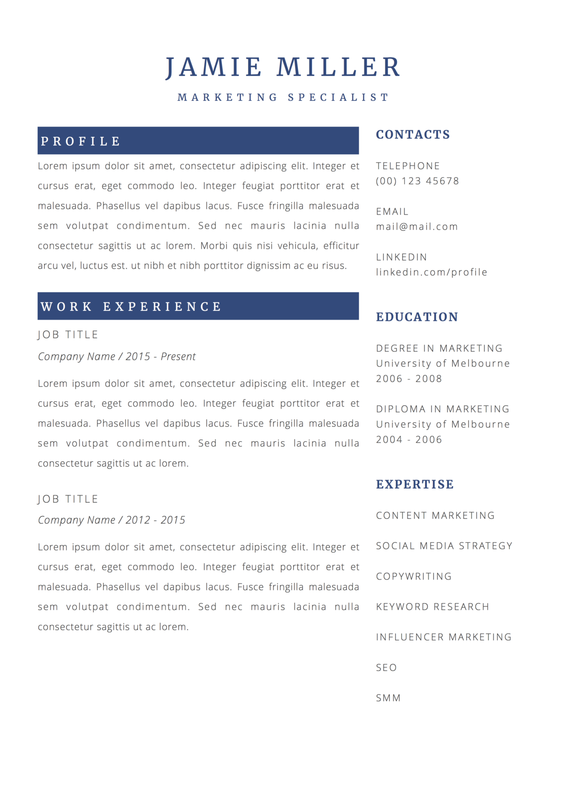 This 2-page resume consists of the following sections: contacts, profile, work experience, education, expertise, personal skills, awards. You could utilize the skill bars to put your best skill forward. 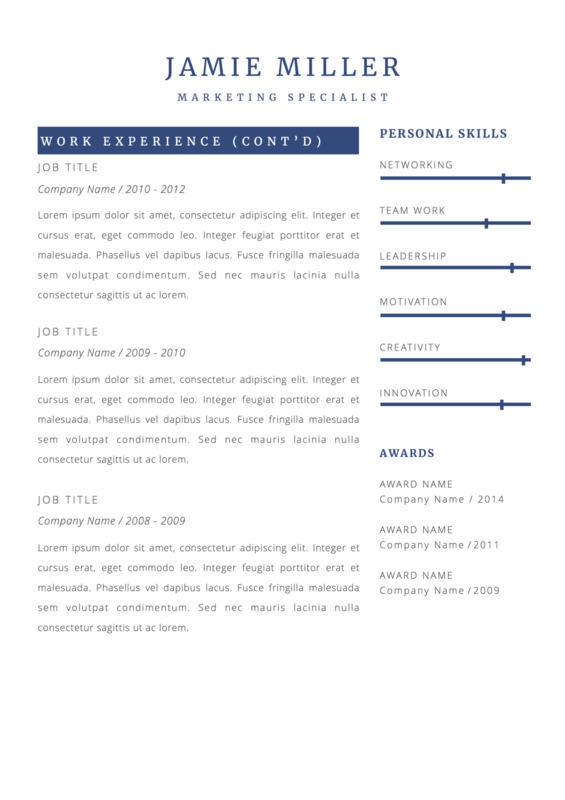 Want a shorter resume? You could always remove the second page in Microsoft Word, Word for Mac or Apple Pages (for Mac users). Not from a marketing background? Simply replace the content with your own. 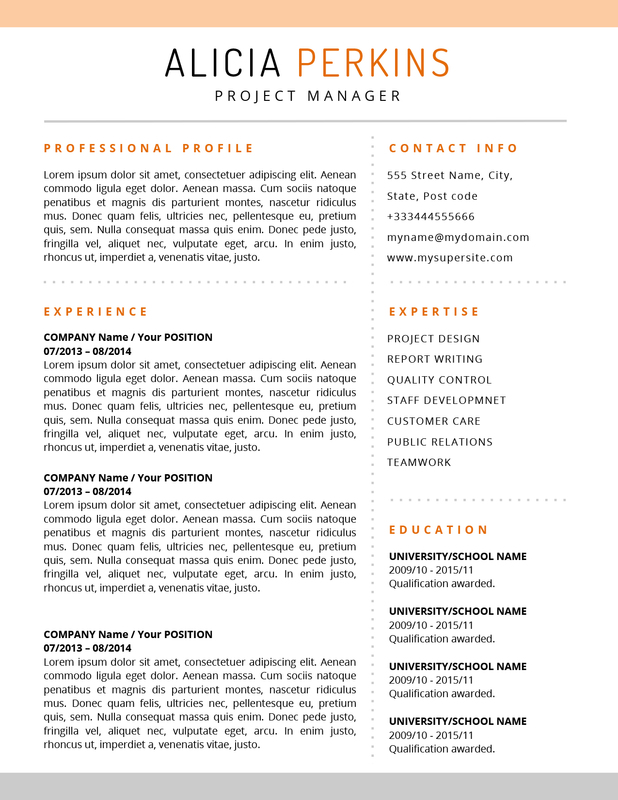 Complement your resume template with the Jamie Miller Cover Letter. 7. 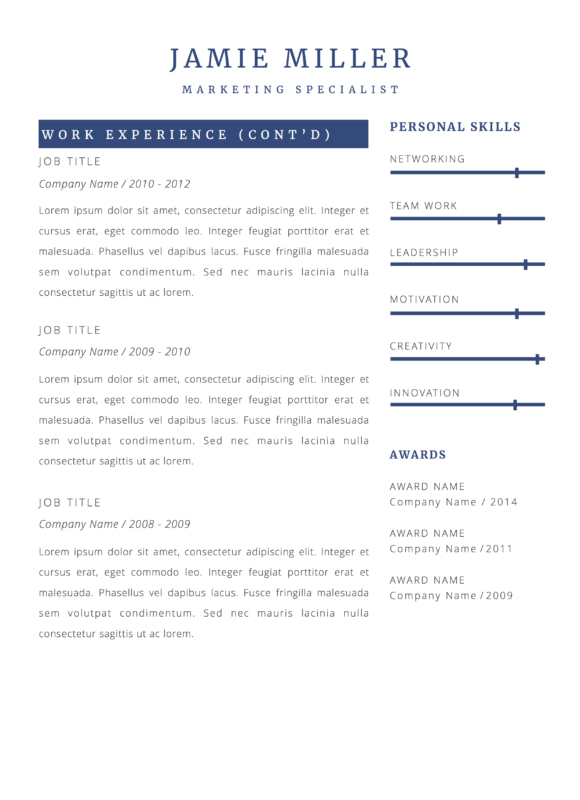 Submit the .pdf resume for your job application and remember to print it out for your interview!